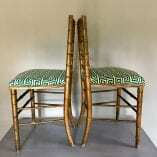 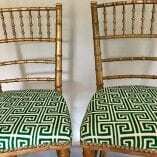 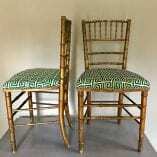 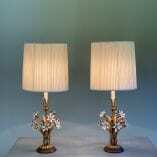 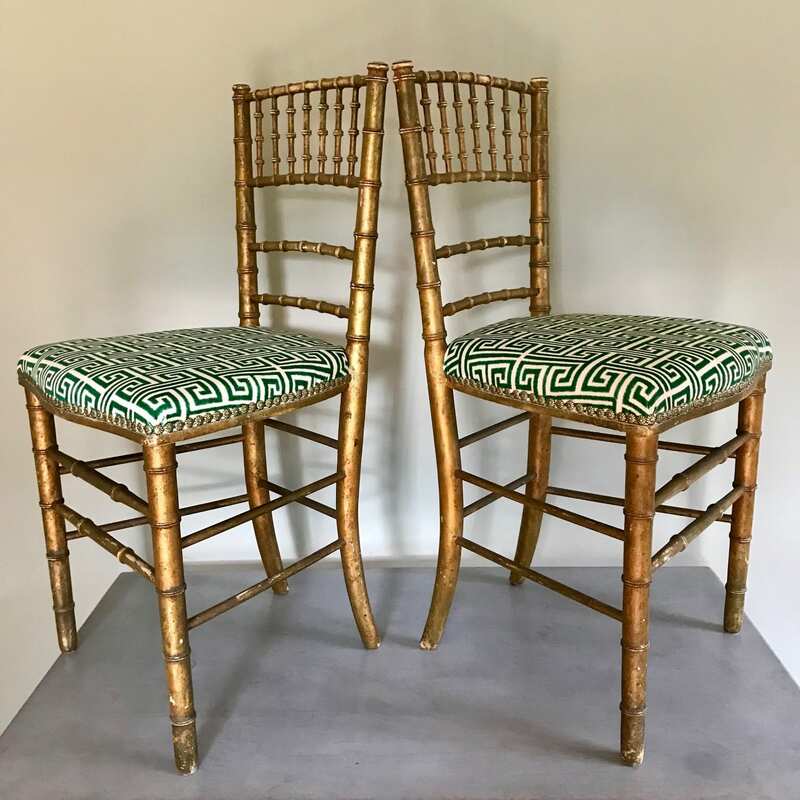 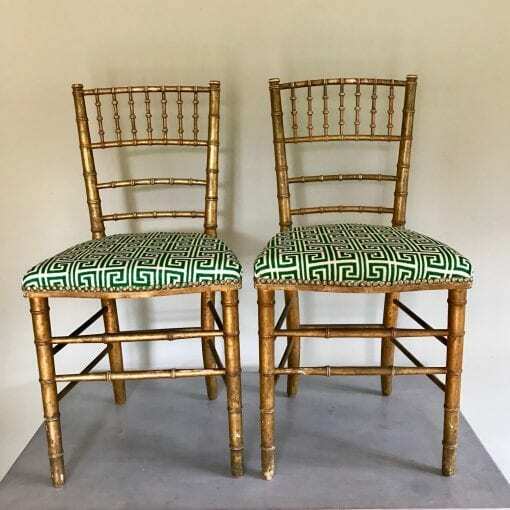 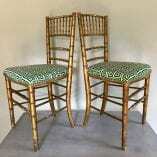 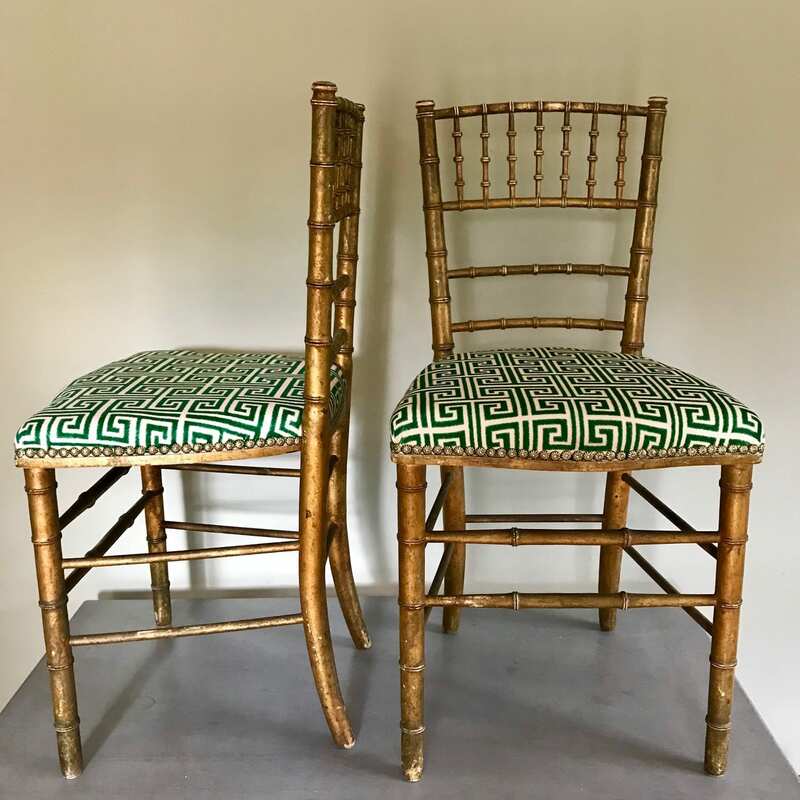 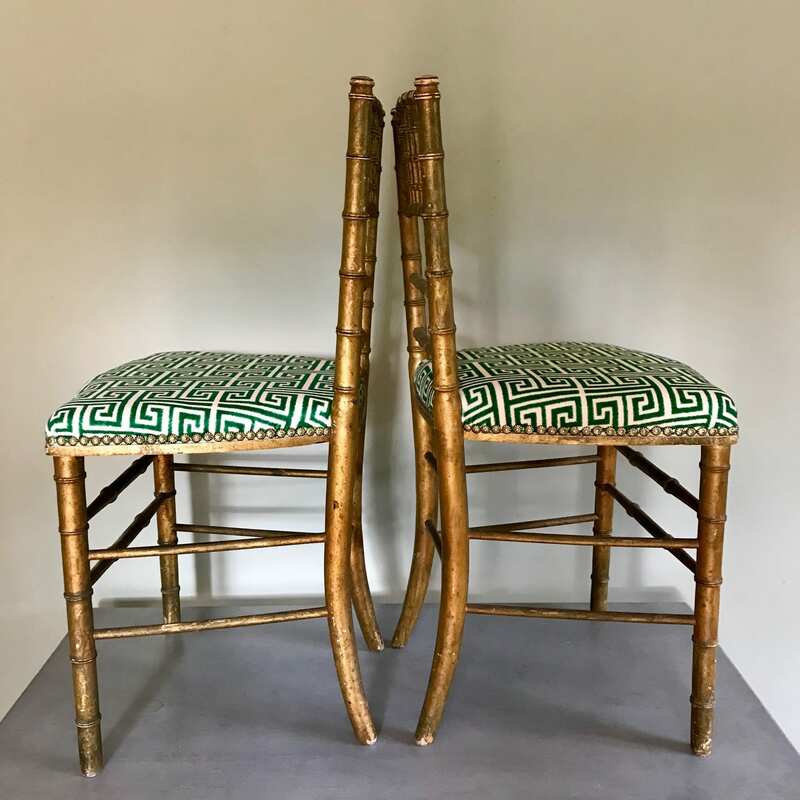 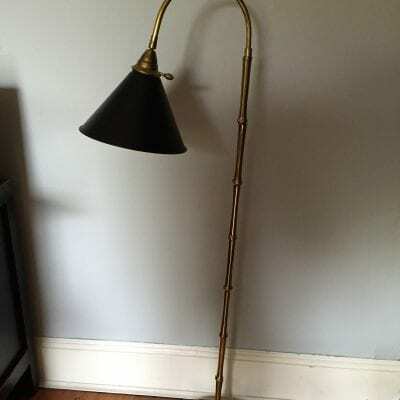 A beautiful and elegant pair of French ‘Siege Collinet’ gold gilt wood faux bamboo chairs. 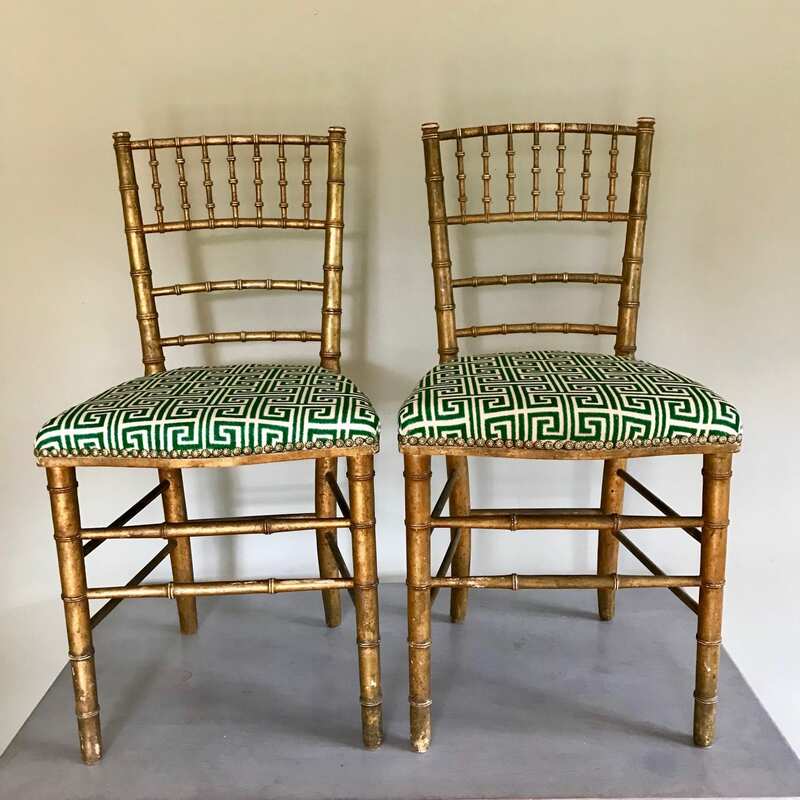 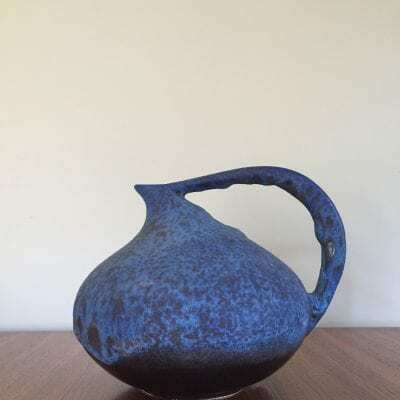 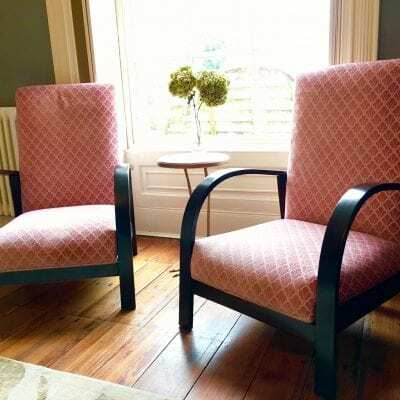 The chairs have a beautiful faded patina – and would look wonderful as hall chairs or occasional chairs in any interiors. 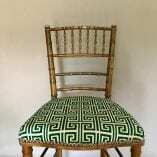 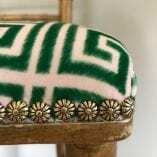 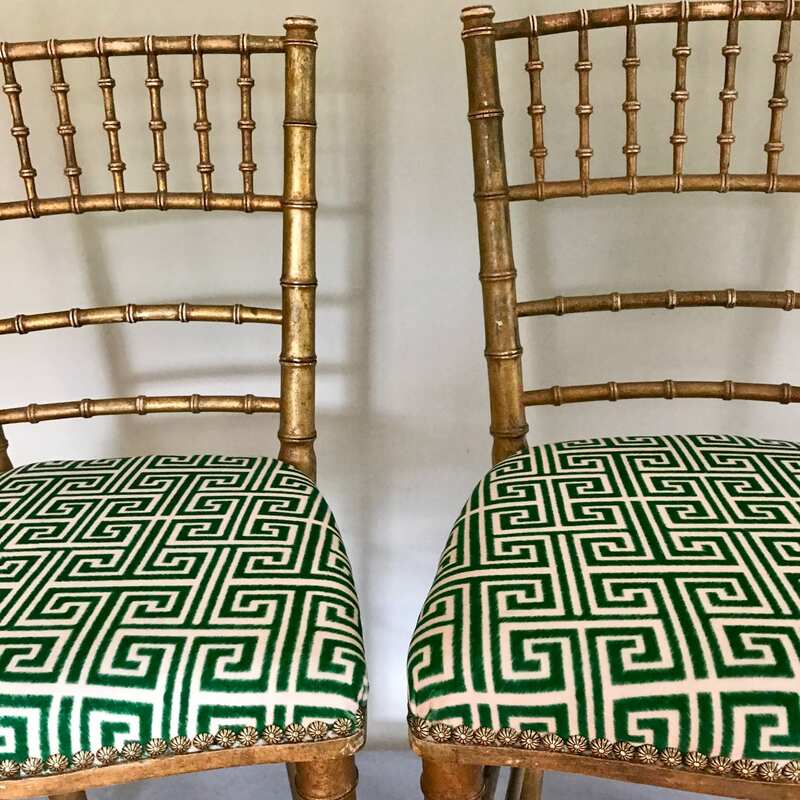 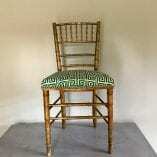 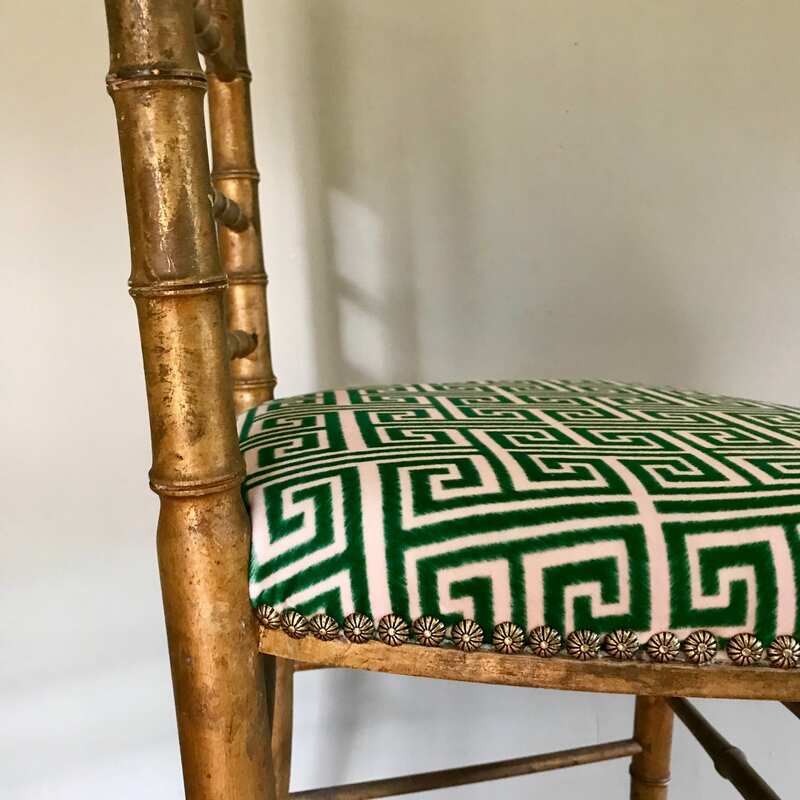 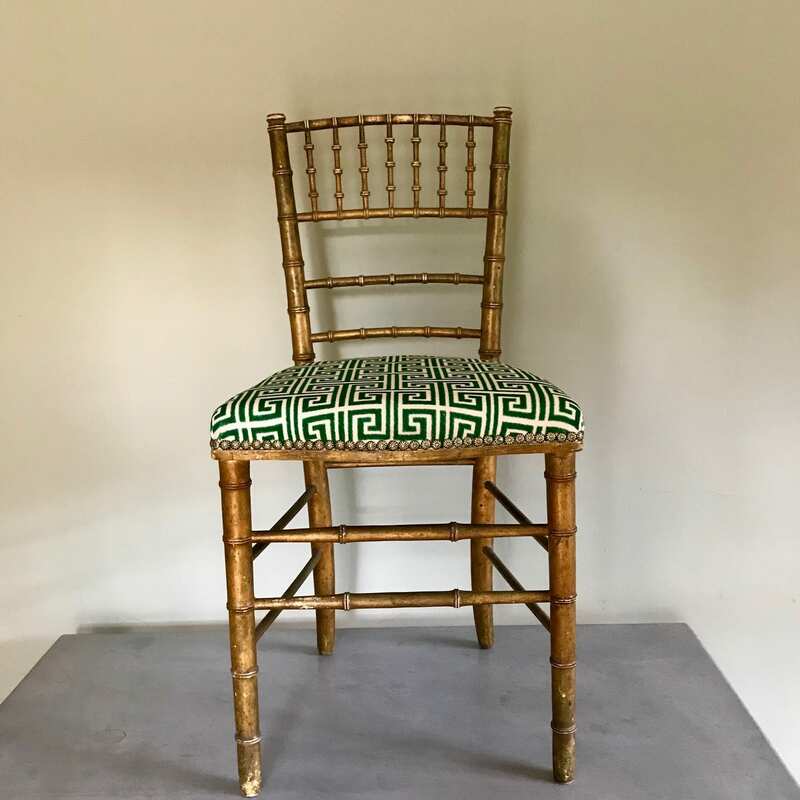 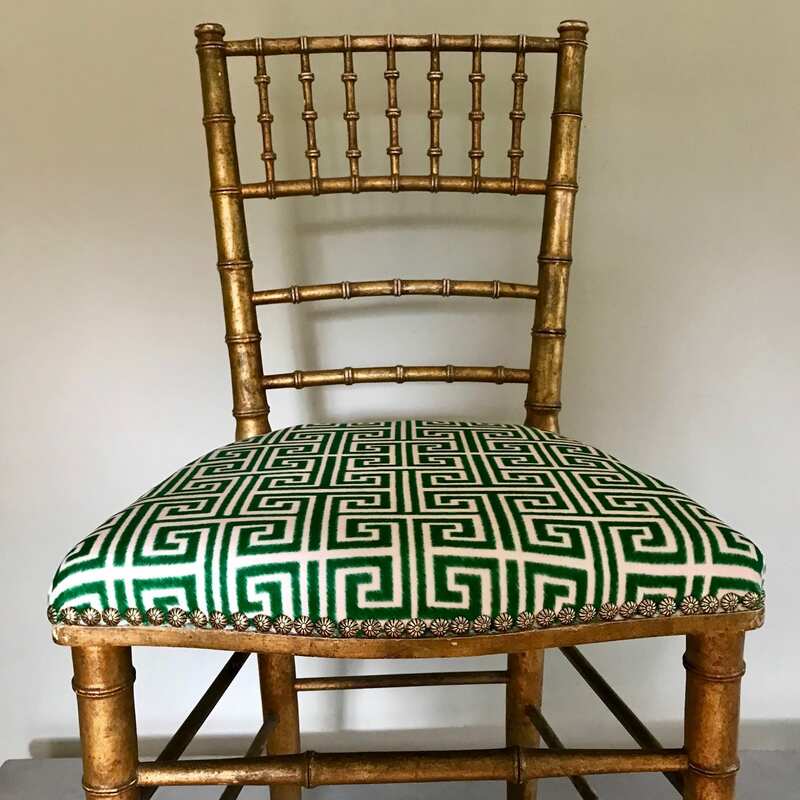 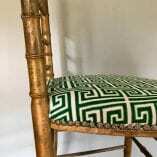 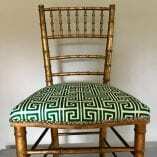 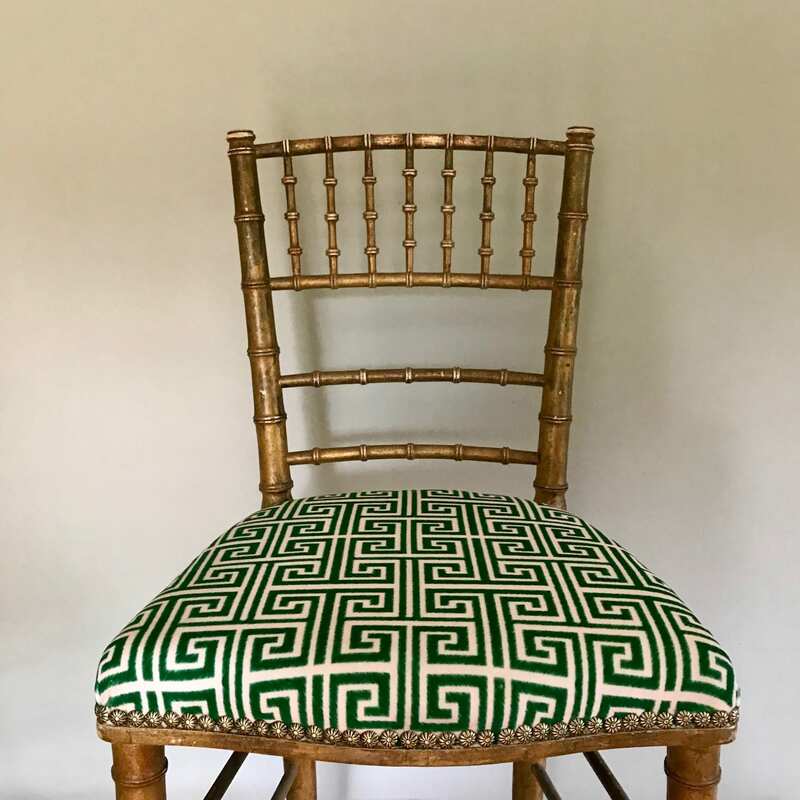 Hand-finished upholstery in Emerald Greek Key ‘Parker & Jules’ velvet fabric.